Advice for The Novice on Electrical Contractors : Electrical Panel Upgrade - Fuse Box Replacement - Meter Box Replacement - Power Surge Protection Information. 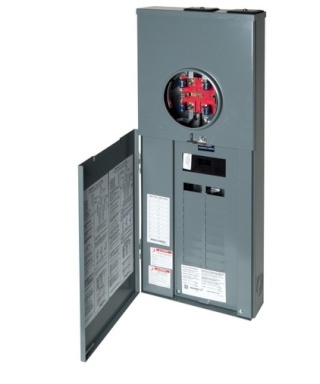 Electrical Panel Upgrade - Fuse Box Replacement - Meter Box Replacement - Power Surge Protection Information. An electrical panel is the engine of your home or business. It takes the electricity and controls it and channels through your electrical wiring to everything that has to plug into a wall, be turned on by a switch or has wires that are connected back to the electrical panel. In the modern age, very few things operate without some form of electricity. And with each passing decade, new technology brings us more types of consumer electronics to make our lives easier and tasks more efficient, while requiring the electric panels at our homes and businesses to provide a larger output of electrical power. In the early 1900's, when electricity was first introduced as the new "modern" invention, it's primary and almost sole use, was to energize the "light bulb". There weren't radios and TV's or a need for a microwave oven circuit, washing dryer circuit, spa wiring, air conditioning circuit or the need for electrical circuits for a host of other electric appliances and electronic devices that we now take for granted in our daily lives. There wasn't even plastic, which is used to insulate electrical wires. Back then, wires were covered in fabric which was soaked in wax. Up until the late 1920's and 1930's, most homes and apartments, just had a fuse box with only two fuses controlling two electric circuits. One electrical circuit was used for the lighting and one electrical circuit was for the plugs. Many bedrooms built back then only had two plugs. In a study on residential electrical fires, The CPSC (The Consumer Product Safety Commission) found that the majority of electrical fires could have been prevented by early detection with an inspection of the electrical system. • Electric Meter upgrade - Many people call this "The Meter Box Panel, Meter Box or Meter Panel", but the correct name is "Main Service, Main Electrical Service or Main Electrical Panel". This is where the electrical supply from the power company or electric company, comes into your house. Your electricity is measured here through the meter. Some very old homes built prior to 1940, will have the original 30 amp main electric service, some later homes from the 1940's and 1950's have a 60 amp main electrical service.. Both types of electrical meter box are underpowered to handle todays modern electrical needs. Many homes will find that they are blowing fuses or tripping a circuit breaker when they use something, like for example, their microwave oven and one other electric appliance. When this happens it's time to consider an electrical panel upgrade. Most modern homes with a square footage of 1200' sq. ft to 3000' sq.ft. have either a 100 amp main electric meter panel or a 200 amp main electrical meter panel and very large homes (in excess of 3,000' sq.ft to 5000' sq. ft.) have 400 main electrical services. 100 amp Main Electrical Panel Upgrade cost: $1200.00 - $1800.00 for a single family dwelling. 200 amp Main Electrical Panel Upgrade cost: $1600.00 - $2400.00 (and up) for single family dwelling. 400 amp Main Electrical Panel Upgrade cost: $3500.00 and up for a wall mounted electrical service. • 400 amp stand up sections vary greatly in pricing.. Typically they start at $5000.00 on the very low end. • If you have an unattached guest house with the power pole located behind it, your electric company (here in Los Angeles, that would be DWP or SCE) may require that you install the new main service on the guest house. This requirement, would significantly increase the price of the main servicd upgrade. If you electric company has this requirement, the main elecrtrical service upgrade would entail installing a conduit in a trench to the main house and then resupplying the existing circuits or installing a new sub panel. Fuses were the original "over current protection" device in homes and business in the early to mid 1900's. And they still work quite well and are still used as a means for disconnecting the electricity to home air conditioning condensers in residential electrical and in commercial electric applications. The problem with fuses, is that many people will replace a fuse that burns out with a larger fuse to try and allow for the use of more electricity on the wires without the fuse blowing. And this is a case where "Bigger" is NOT better. When, for example a 15 amp fuse is replaced with a 20 amp or 30 amp fuse, it allows for more electricity to flow through the electrical wiring than it is rated to handle to handle 15 amps. What happens, is that the wire burns through before the fuse blows and this often the cause of an electrical fire. And because of that possibility, many insurance companies will charge a higher premium for homes that still use a fuse box. It's a good idea to check with your insurance company to find out if you will get a rebate or reduction in your insurance premium if you have a fuse box replacement and install a circuit breaker box. • Electrical Sub Panel aka Electrical Panel Box or Circuit Breaker Box. People often call these electrical panels, the "Electrical Panel Box or Circuit Breaker Box, but electricians call electrical panels with circuit breakers, the "The Sub Panel" if it's not part of the main electrical service. The circuit breaker box or sub pane is the control center and distributes electricity through your house wiring throughout your home. Each circuit breaker has a wire connected to it and the wire will be used for supplying electricity to a specific room, area or to an appliance, machine or home electronics (like a flat screen TV circuit). For example, a Microwave oven circuit will be on one circuit breaker. Kitchen counter plugs will have their own circuit. Spa circuits and air conditioning circuits will each be on their own separate circuit breaker. As the amount of appliances, machines and electroncs grow within your home or business, an old circuit breaker panel or fuse box won't have the room to accomadate any more circuit breakers and the fuse box, won't handle any thing additional. And an electrical panel upgrade is mandatory in order for your home or business to be able to operate everything. 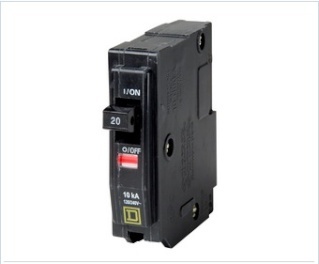 • Circuit breakers - Circuit breakers are known as an "Over Current Protection" device. An over current protection device, is anything that acts as an electrical disconnect by automatically "tripping" e.g. shutting off the electricity, to the electrical wiring when it exceeds the level of electricity that a wire can use before it burns through. Each circuit breaker in your circuit box controls the electricity to specific room(s), appliance or machine in your home or business. For example, one circuit breaker can control the electricity to your lights, another circuit breaker will be to control your microwave, etc. In an office, you will find circuit breakers designated for lighting, and a circuit breaker for your office computers and another circuit breaker for an office copier machine, etc. 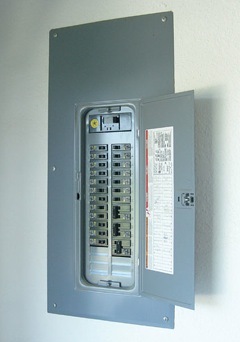 An Electrical Panel Box or Circuit Breaker box aka "the Sub Panel or main electrical panel" houses the circuit breakers that control the electricity. • Whole House Surge Protection - The reason why it is necessary to have an electrical panel upgrade, is because of all of the electrical devices, appliances and heating and air conditioning systems that we have in our homes. But the electricity coming in from the power lines from the electric power company is not always constant with many short electrical surges occurring each day. 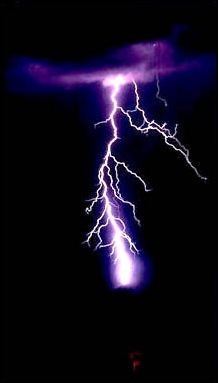 When lightning from an electrical storm hits the power company's power lines, it sends a huge electrical surge that can destroy your valuable home electronics and business equipment. A Whole Home Surge Protector is installed in your Main Electrical Service (what many call the Meter Box ) and protects your whole home from this surge. 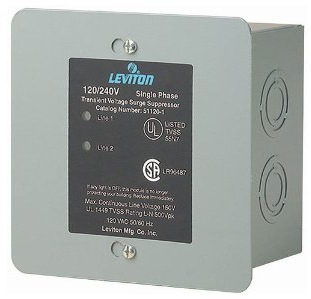 A good thing to know about Whole Home Surge Protectors, is that the various manufacturers that make them, have a lifetime guarantee on them paying up to $300,000.00 in damage, should their whole home surge protector fail. • Grounding and Bonding - In the early 1900's the importance of grounding in an electrical system wasn't clearly understood and the electrical codes requirements for the installation of your house wiring or your business electrical wiring weren't very safe. Now the electrical codes have dramatically changed the requirements for the grounding of your electrical system. If your home or place of business is over 30 years old, you may need to have a grounding upgrade. A properly grounded system, prevents electrical shock and electrical fire from occurring, by instantly over loading the circuit breaker with so much electricity that it causes it to turn off. • Does My Home or Business Need An Electrical Upgrade? • Does your home or business have a fuse box? • Are you planning on a home remodel, room addition, kitchen remodel or business remodel ? • Am I planning on adding a new hot tub? • Do I have a Zinsco, Federal Pacific Electric circuit breaker box? • If you answered “yes” to any of these questions, then it may be time to consider an electrical inspection of your electrical panels and home wiring or commercial electric at your place of business. 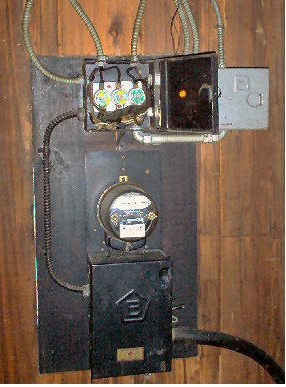 For over 30 years, Federal Pacific Electric (FPE) panels were among the most common electric panels installed in North America. One of the problems with Federal Pacific Electric electric panels, is that their circuit breaker fails to shut off when the amount of electricity is too much for the circuit breaker to handle. It is recommend that FPE circuit breaker panels be inspected by an electrician and some escrow inspectors and insurance companies write them up for replacement. More information on the risks and hazards of FPE panels can be found at www.ismypanelsafe.com. "In a class-action lawsuit, a New Jersey State Court ruled that the Federal Pacific Electric (FPE) Company, "violated the Consumer Fraud Act because FPE knowingly and purposefully distributed circuit breakers which were not tested to meet UL standards..."
Reprinted from the website : Is My Panel Safe www.ismypanelsafe.com. An expert who investigated the potential hazards of Federal Pacific electric panels stated under UL 489 test conditions that FPE panels fail to tip at a much higher rate than standard panels. In other tests, some FPE panels failed to operate properly as much as 60% of the time. Because Federal Pacific Electric lost their UL approval and have been out of business since 1988, FPE circuit breakers cost 4 to 5 times more than other circuit breakers to purchase. 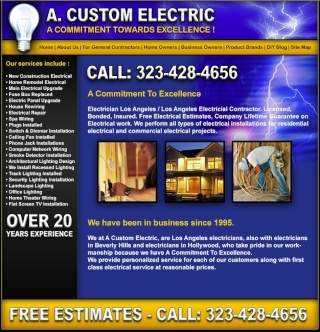 If you live in the Los Angeles, Beverly Hills, Culver City, Hollywood, Studio City, West Hollywood areas and have any questions Call Us Today at (323) 655-1829 or (310) 205-3733 for an inspection of your home electrical system or the commercial electric for your business.